Famous Resume Myths - Debunked! Resume writing myths you may have heard, but should forget! Reprinted with permission from wetfeet.com. There is no one best way to write a resume; there are no absolutes. Every career counselor and recruiter has his or her own take on resume writing. Even the formatting you use and the positions you list depend on the industry, the specific job, and your experience. But amid all the potentially conflicting opinions, there is some agreement on common resume myths. 1. Your resume must be only one page. False. "Your resume should be as long as needed [in order] to get your concise message across with zip and punch," says Joyce Lain Kennedy, careers columnist and author of Resumes for Dummies. If your experience and background justifies two or more pages, so be it. Recent grads shouldn't go beyond one page, but senior executives with decades of experience will probably need at least two pages. The rules are slightly different for resumes sent via e-mail. Laura Dominguez Chan, a Stanford University career counselor, says that in that instance, shorter is better for both cover letters and resumes. 2. Prospective employers don't read cover letters. False. "Remember that anything you send is part of an image you're projecting," says Dominguez Chan. "If [nothing else,] your cover letter shows your writing skills…and if all the candidates [for the position] really are top notch, it could be the cover letter that lands you the job." 3. 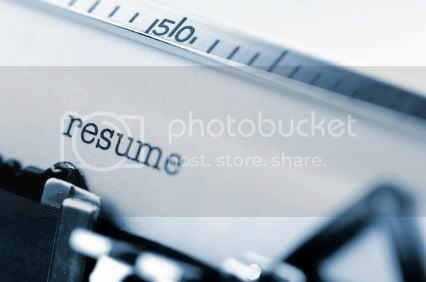 Resumes should include and describe your entire work history. False. Your resume is a sales piece, a personal marketing tool. Take time to consider what skills the position requires. It’s likely that a part-time job you took for a few months isn't going to be relevant or impressive. Unless you need to cover a significant time gap, it’s wise to include only those jobs that will showcase your ability to excel in the position for which you’re applying. Volunteer and other non-paid positions can be just as valuable as paid ones—especially if you’re a recent grad or are re-entering the workforce after an absence. Use your resume format to communicate volunteer work as experience.